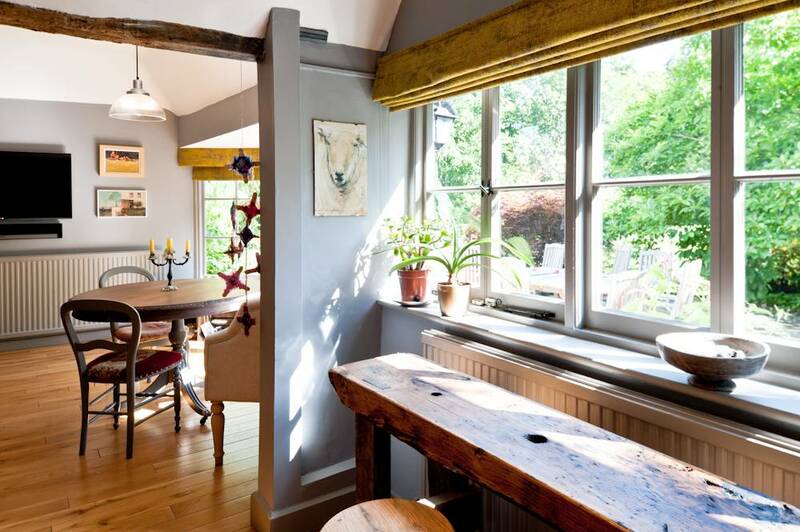 James approached us to create and implelement a well designed and eclectic look for his new Kent farmhouse. 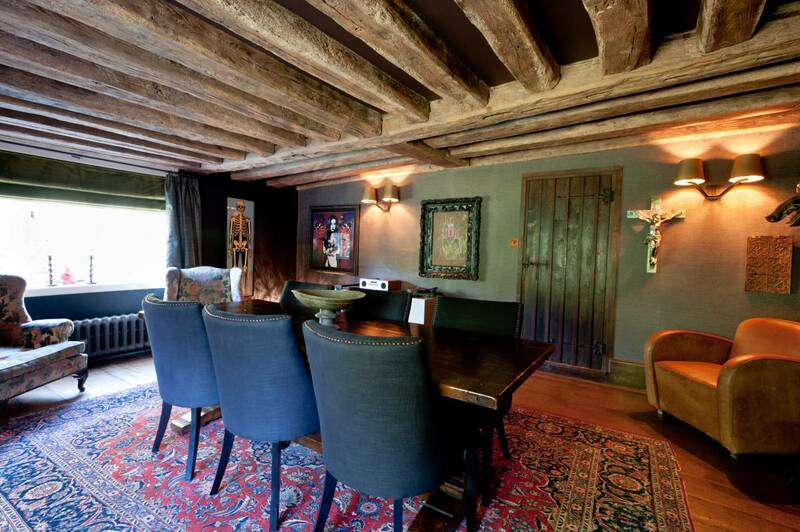 We were engaged transform the rooms, compliment his collection of unique artwork as well as to be ready to move into all within 2 months. The overall style requested was modern gentleman’s club - quirky and interesting, with tons of conversation pieces. 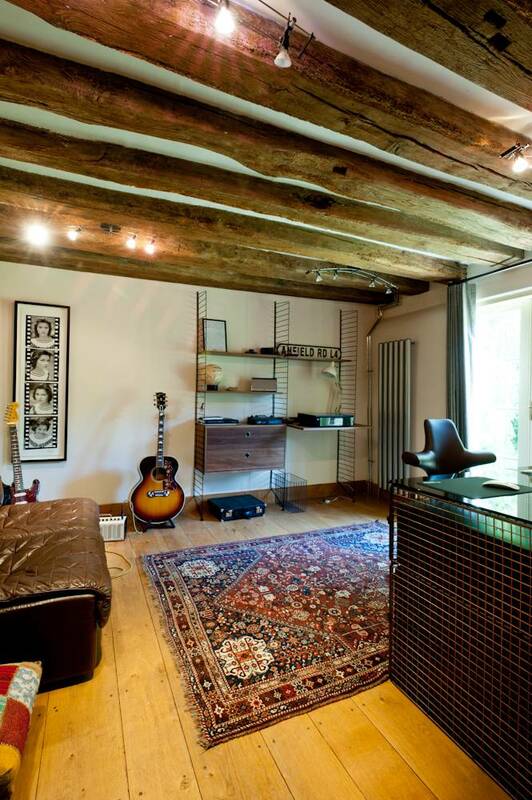 We loved designing every room in James’ home working to emphasise the brilliant modern art collection and specific antique items James wanted to bring with him. 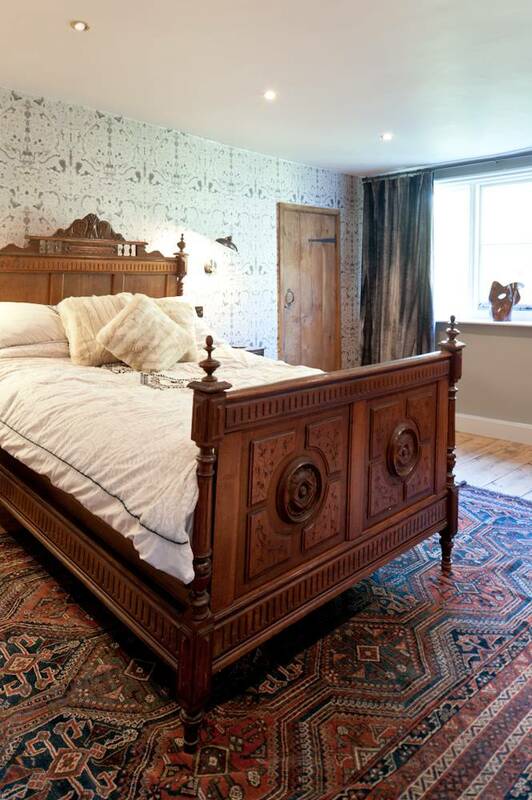 A strong warm colour palette brings a modern touch to the 18th century farmhouse, bringing new life to the space and making it a stunning home for his family, and entertaining. 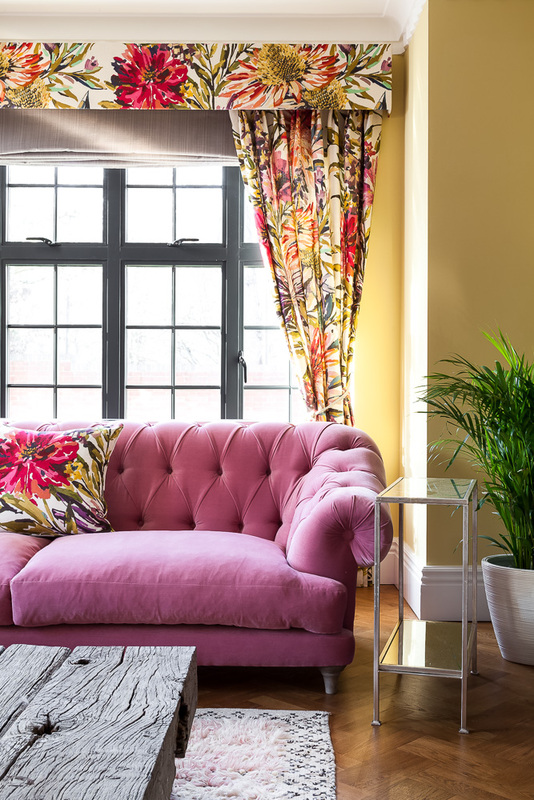 Everything had to work together, and not compete – all the fabrics we used for the curtains work in the scheme of the room and add their own texture and colour to the room without swamping the windows. 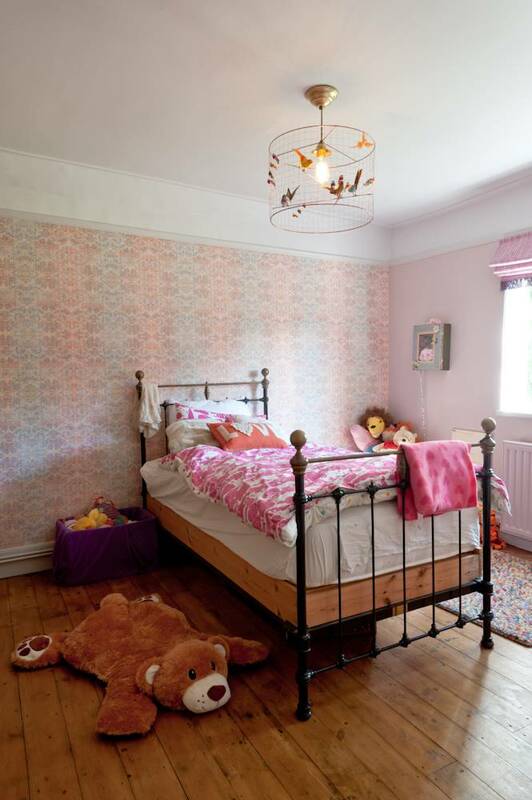 Strong design elements brought through in wallpapers in all the rooms – where modern designs are put in to more contemporary colour palettes. 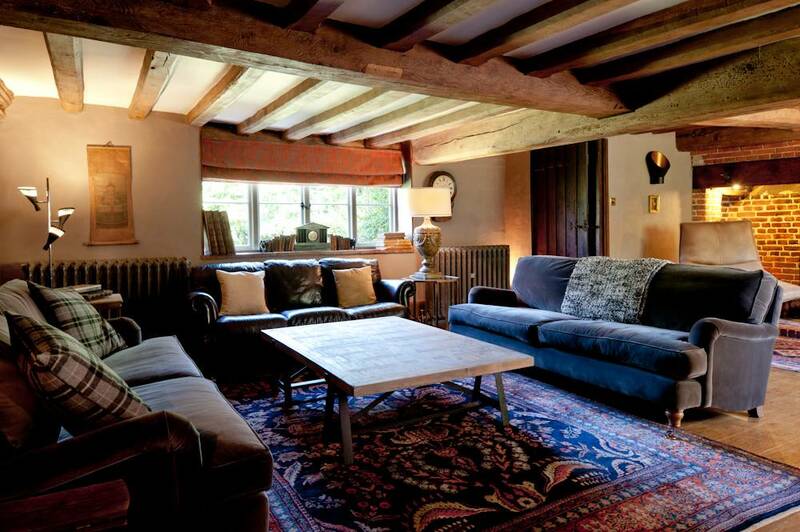 We scoured antiques fairs, salvage items, furniture barns and auction houses to mix age and heritage with some newer elements too, like the velvet sofas in the lounge and great dining chairs. 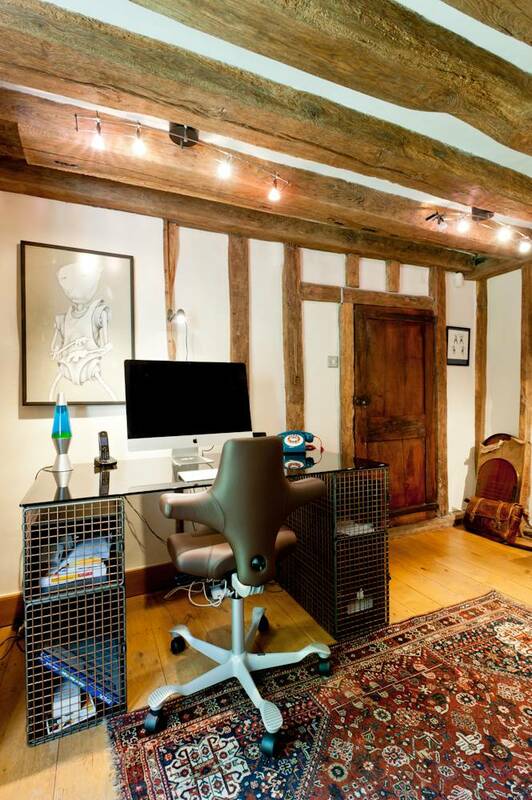 Newer pieces have a hint of mid century and industrial design to them – the desk from Bowles is a fantastic copper metal cage and the String shelving works perfectly in the study to add storage without overpowering the room. We just love the Tom Dixon gold lights in the dining room, where the gold shades add richness and glamour, working perfectly with the brilliant artwork. 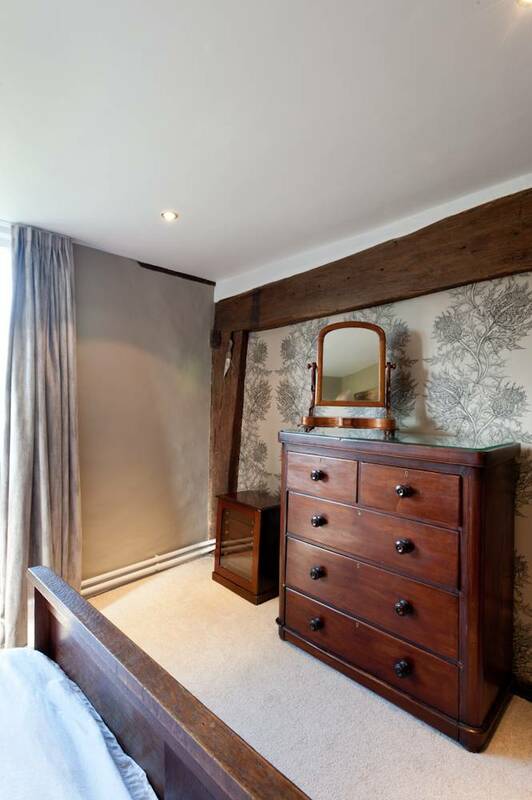 Being an old farmhouse there are tons of oddities, from uneven floors to difficult alcoves so some more bespoke elements were included here, such as a bespoke bookcase built on one of the landing to create a library feel. Instead of a usual dining table we made it less formal in the kitchen with a curved kitchen sofa, reclaimed dining table and chairs – all of which we amended in some way to make it work for the space. 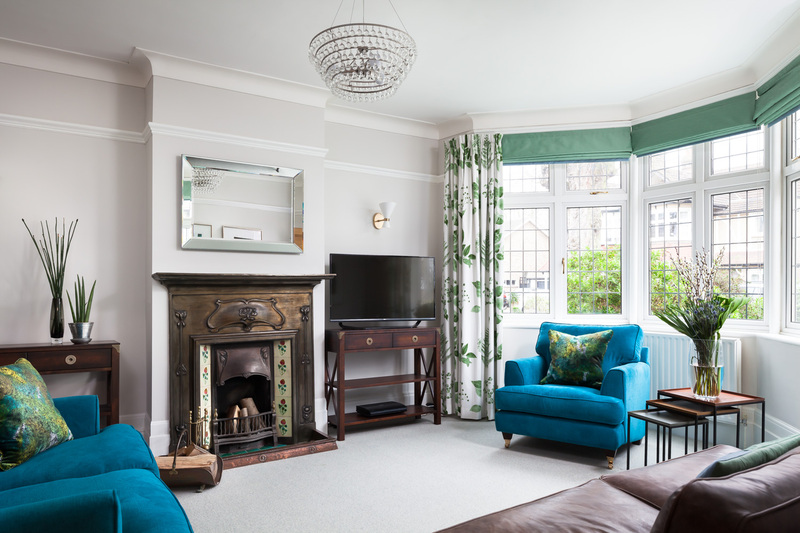 The lounge has two focal points, one of which has to be the TV which was kept to one side so it didn’t become the focus of the room but with the sofas arranged to still work brilliantly when watching it. The two modern armchairs flanking the sofas give a snug evening spot and add a touch of modern design to the room and the 3 armchairs make sure there is a ton of space for lounging or hosting friends over too. 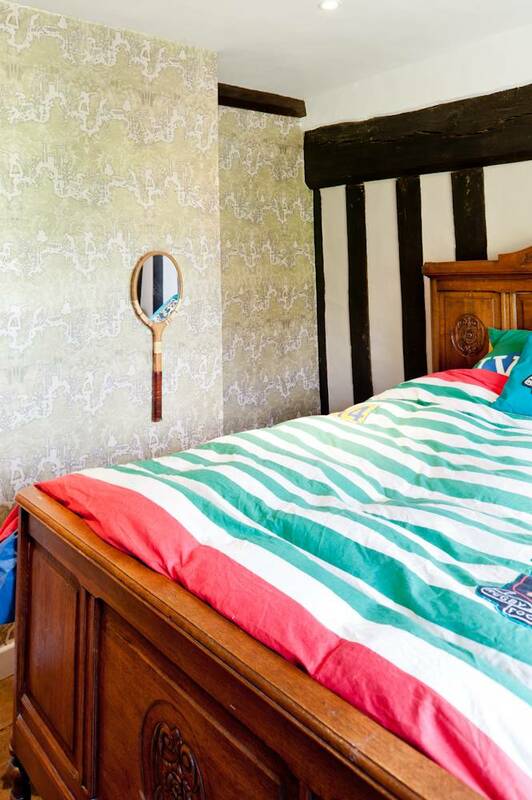 The kids rooms schemes are just as eclectic – making sure we kept the feel of the house with traditional patterns, made fun with brighter colours. 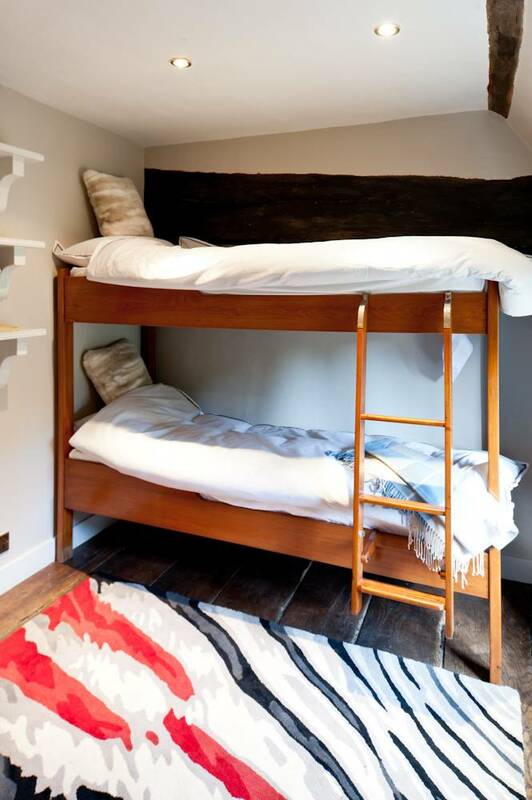 And one of our best moments was finding these reclaimed snug bunk beds salvaged from an old liner so we could add some more sleeping areas for sleepovers – nothing else would fit! 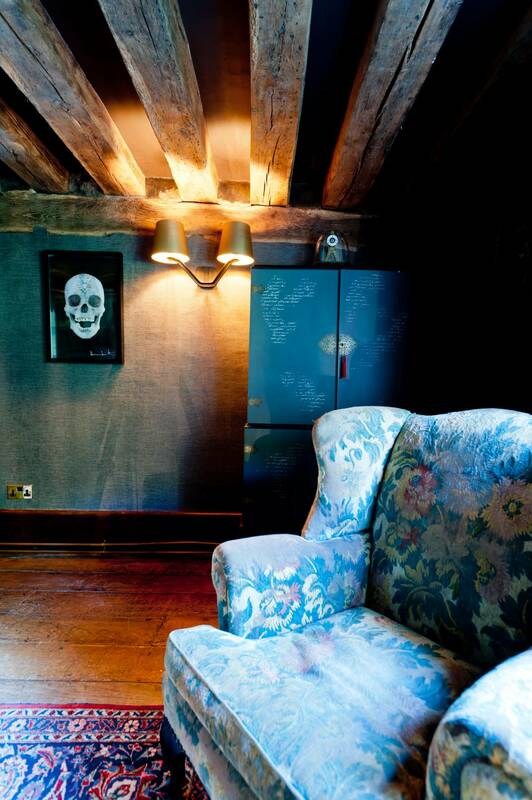 Great collection of artwork that needed to be displayed throughout the house and the colour scheme allows this to stand out, whilst creating warmth throughout.